A computer science degree is the basis for a wide range of computer-based industry careers including roles as IT specialists, software developers and systems architects. Our course provides you with an understanding of the key principles of computer science, including computer systems design, implementation and usage, alongside the practical skills to develop programmed systems. 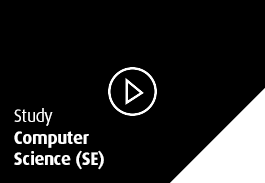 Why study BSc Computer Science at Middlesex University? The BSc (Hons) Computer Science (Systems engineering) programme has been developed within Middlesex University to reflect the dynamic and fast evolving nature of the computer science industry. The programme addresses the vast repertoire of computing skills and engineering concepts that are critically sought within the scientific and technological industries. The exclusive manner in which topics are undertaken within the programme enhance the fundamental understanding of systems engineering with the practical aspects of computer Development and the innovative concepts within information science. This module comprehensively addresses the discipline of computer systems development by including development processes, life cycle models, quality issues, requirements analysis, design techniques, testing and computer systems project management. It provides the student with an understanding of various programming languages appropriate for the development of computer-based systems, entailing the communication between several hardware and software components. The aim of this module is to give students knowledge of professional project management in a practical environment by undertaking a significant project. In addition, students will study ethical,legal,regulatory, organisational and business issues in order to enhance their employability in the computer and communications field. develop understanding of human-robot interaction. There are now a wide range of programming technologies associated with the Web creating a more interactive experience with cross platform capabilities. These applications allow access to backend resources from databases to media content. As the internet has increased in speed and accessibility, the software technologies have been developed to enable dynamic applications to be deployed. This module provides experience in the development of such software artefacts and an understanding of the technologies and model behind the Web. This module gives students an understanding of the techniques and approaches used in the development and deployment of a data warehouse for the purposes of business intelligence. The module also addresses intelligent data mining theories , information retrieval, data presentation, pattern recognition, and knowledge discovery techniques that are used in business intelligence applications. The aim of the module is to introduce students to a range of AI theories and techniques, including the most commonly used. This will extend to the ability to implement these techniques, and the students will extend their own development skills. Interactive technologies are developing continually, and new devices that offer novel ways of interacting with computer-based systems are constantly finding their way into our homes, workplaces and lives. Students on this module will encounter and study a range of innovative and emerging interaction technologies. The module affords an opportunity to become familiar with the technologies and devices themselves as well as ways of analysing their applicability for particular uses and situations, and approaches evaluating their use. By understanding how computing devices and products are used and studying the ways that usage changes over time, students will gain a critical awareness of the processes by which interactive products gain in popularity and become successful. After completing the module, students will therefore be better equipped to anticipate and select the successful interaction technologies of the future, analyse situations of use and potential users, design using the latest interaction technology, and evaluate novel and innovative designs. This module provides students with the opportunity to demonstrate the theoretical knowledge and practical skills they have developed whilst studying the computer science degree by undertaking a substantial piece of individual project work. The project will involve the production of a system that is expected to be of considerably greater scope than any of the coursework encountered in the taught part of the programme and demonstrates a significant level of scholarship. Our BSc Computer Science (Systems Engineering) degree prepares you fora wide range of IT-based careers. As a graduate you will have excellent career prospects and the range of potential employers will be vast across the private,public and not-for-profit sectors. Systems Developer - Systems developers maintain, audit and improve organisational support systems by working on the internal operations of computers, using existing systems or incorporating new technologies to meet particular needs, often as advised by a systems analyst or architect. They test both hard and software systems, and diagnose and resolve system faults. Systems Analyst - A systems analyst designs new IT solutions to improve business efficiency and productivity. Working closely with the client, analysts examine existing business models and flows of data, discuss their findings with the client, and design an appropriate improved IT solution. Multimedia Programmer - A multimedia programmer gives a multimedia product its functionality by writing computer programs that draw together multimedia features, such as text, sound, graphics, digital/analogue photographs, 2D/3D modelling, animation, video, information and virtual reality, according to a designer's specification.